You awaken in a cold sweat with a fast-beating heart. Was that just a dream? It takes you several minutes to calm down. Still, the dream’s story continues to haunt you until the next feverish dream occurs. This is the feeling you will have after reading each story in the marvelous Mouthful of Birds. 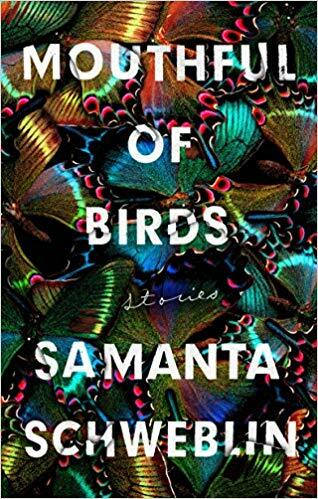 Twenty surreal stories populate Mouthful of Birds. Translated from Spanish, they have the taste of another country’s mindset, while still being relatable to anyone human. The writing is luxurious as if each word was thoughtfully selected so kudos to the translator, Megan McDowell. The plots vary widely, which is good as that means there is something for all tastes here. The title story is about a young girl who must eat live birds to survive. It is left to the reader to surmise why. In The Test, a man is forced to kill a dog on a job interview. The author, Samanta Schweblin, was a Man Booker finalist in 2017 for her short novel, Fever Dream. These stories are equally good. For those that like thought-provoking plots, Mouthful of Birds is a delight. 4 stars! Thanks to Riverhead Books for an advance copy in exchange for an honest review.